Nana will be yelling BINGO! 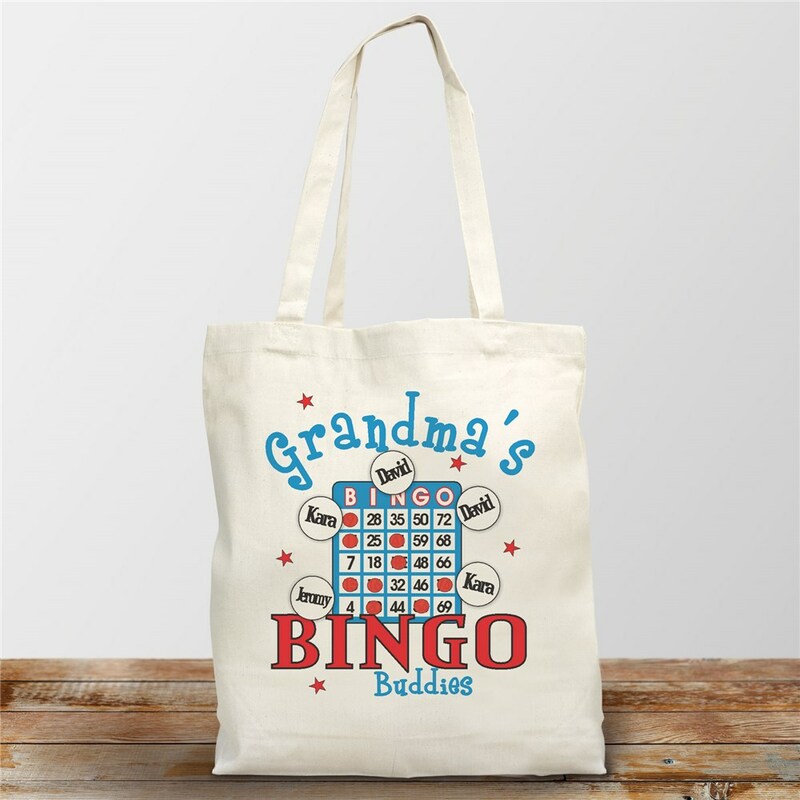 from across the room when she receives this unique Personalized Bingo Tote Bag featuring all of her favorite little bingo players. Free personalization of any title and up to 30 names is included on this design. Great gift for her birthday or as a personalized Mother's Day gift! Took this to Bingo and had several people ask for your website. Most important: I love it and my grandkids love seeing there names on Grandma's stuff. Exactly what I wanted. Very nicely done. GiftsforYouNow.com offers a large assortment of Personalized Canvas Tote Bags for Grandma, Mom, Sister & Aunt. Create a Personalized Gift just for them for their birthday, Mother's Day, Anniversary or Christmas.